Which is the best BMW Films short film? Home / News / Which is the best BMW Films short film? 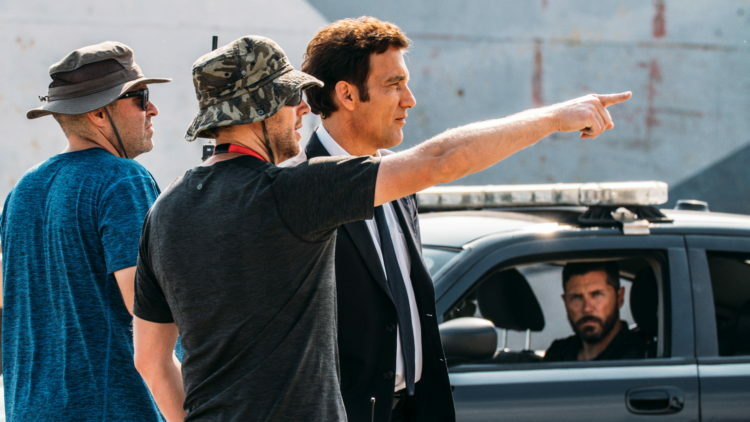 We were all ecstatic to hear that BMW Films was bringing back its series of short films featuring Clive Owen and his character’s choice of BMW. We’re all big fans of the previous series “The Hire“, which debuted over a decade ago, so when we got word a new film was coming, needless to say we were excited. Now that the newest standalone film, “The Escape“, has been released, we can certainly say it’s up there with some of the best BMW Films has made. There were several films made under the previous series, many of which feature famous actors, such as Don Cheadle and Madonna, as well as famous directors, such as Guy Ritchie and, the now award-winning, Alejandro González Iñárritu. There are many excellent films in this series, filled with action, drama and even humor. So, now that “The Escape”, c0-starring Dakota Fanning and Vera Farmiga as well as being directed by Neill Blomkamp, has been added to the highly acclaimed series, which is the best BMW Films short? There are far too many to list or we’d be here all day. So I’m going to give you my favorite and then you comment below and tell us yours. Mine might be a bit obvious, as it’s likely the most famous, but it’s hands down my favorite and something I can watch over and over again — “Star”. Featuring Madonna, alongside Clive Owen, and directed by Guy Ritchie, Star is probably the most popular and for good reason. It features that typical witty and cheeky sense of humor Ritchie’s films are known for and some genuinely cool driving. Plus, the real star (pun intended) of the movie is the iconic E39 BMW M5, which Owen uses to toss Madonna around in the backseat. The plot is simple: a bitchy, spoiled and annoying pop star, played by Madonna, needs to get to her next venue. Fed up with her antics and constant barking at them, her staff hires a driver to take her to her venue in his E39 M5 and do so in a way that will frighten and embarrass her. Obviously, the driver obliges. Owen drives like he’s escaping baddies in Ronin, weaving through traffic, sliding around corners, jumping exit ramps and pulling full one-eighties in the middle of the street. It’s great fun, entertaining and makes you laugh in the way only Guy Ritchie can. Whereas the other BMW Films can be a bit serious, “Star” is more entertaining and funny than anything else and that’s why it’s my favorite and largely still considered the best BMW Film yet. What’s yours?